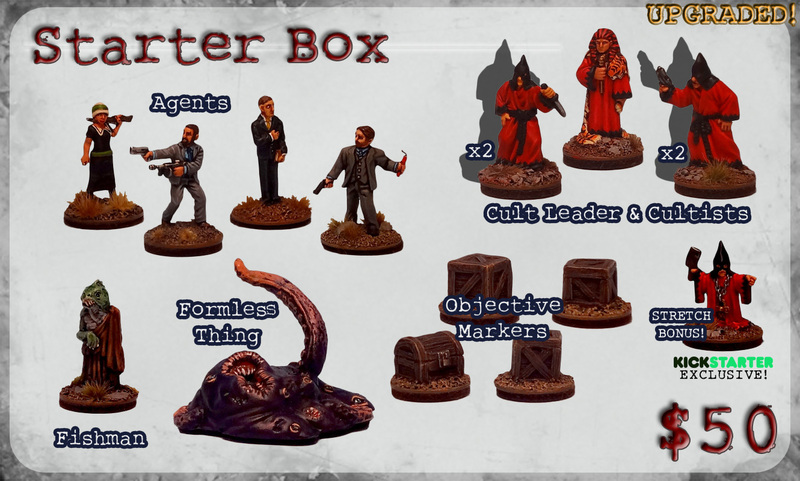 The Lovecraftian Miniature Skirmish Game of Eldritch Horror, Revised and Expanded. 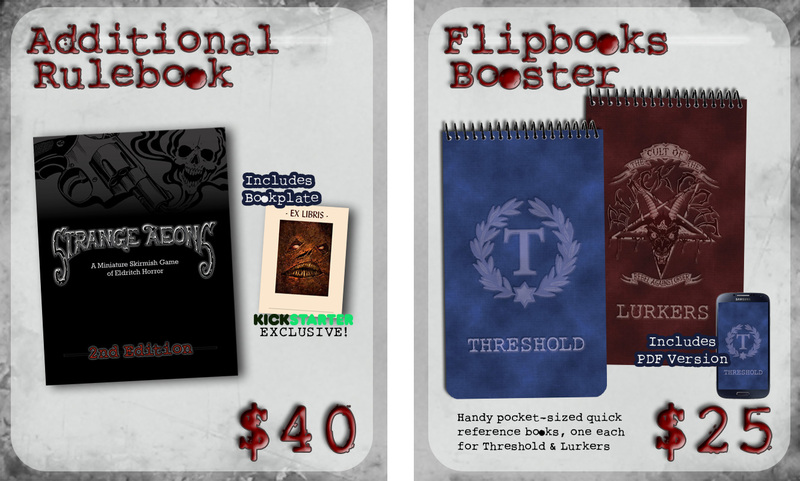 New Book & Models, Exclusive Bonuses! Cthulhu Fhtagn! 316 backers pledged CA$ 53,981 to help bring this project to life. 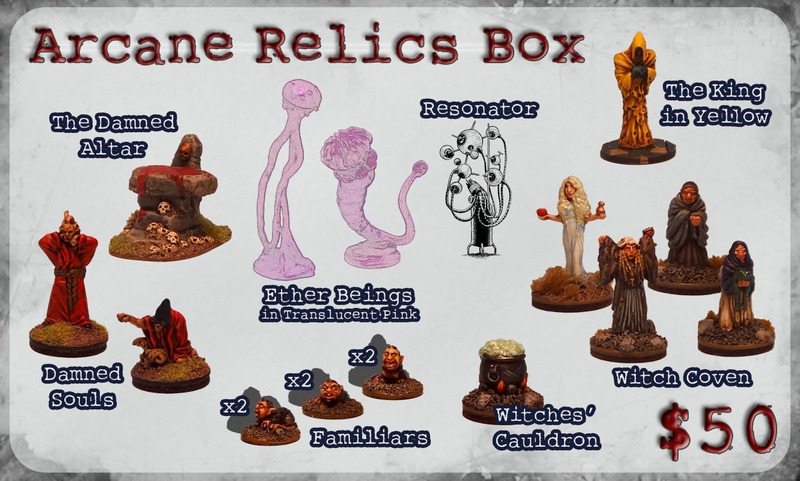 Strange Aeons is a thrilling miniature skirmish game set in the 1920s and populated with the weird denizens of the works of H.P. Lovecraft. 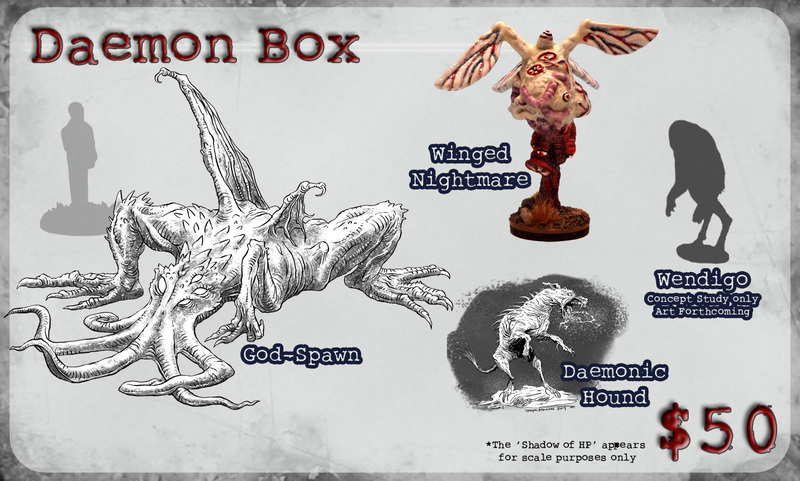 Designed for use with 28-32mm scale miniatures, each 2-player match of Strange Aeons plays in 30-60 minutes and requires only 3-10 models per player. And with a standard board area of just 2’ x 3’ (approx. 60 x 90 cm), all else you need to play is some six-sided dice, a tape measure, a kitchen table and a box of scenery. While we’ll be redesigning the interior of the book completely, we’re sticking with the size and format of our very well-received 1st Edition: full colour throughout on sturdy paper, with a heavy cardstock cover and our signature coil binding. Also, we’re maintaining our high standard for interior art, with contributions from Riley Rossmo, Toren Atkinson, Matteo Bocci, Mike Perry, Brant Benoit, Melvin de Voor and comic legend Nat Jones (Death Dealer, '68), whose work also appears on the Kickstarter-exclusive Bookplate we'll be including with every printed copy of the Rulebook. All pledges containing the printed 2nd Edition Rulebook also receive a complimentary copy of the 2nd Edition PDF. Also, ALL backers will receive a free copy of the 1st Edition PDF at the conclusion of the campaign - we want you all to have something to play with right away! 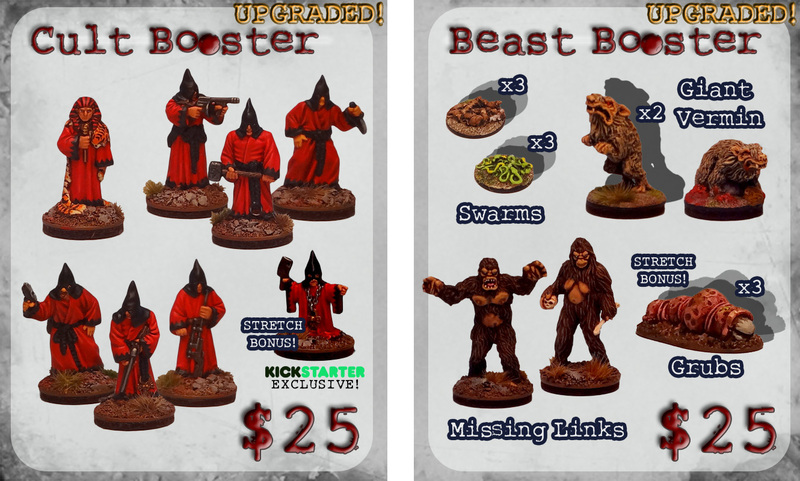 Along with the revised rules, we've revised our miniature line. All of Uncle Mike’s unpainted 32mm resin figures are produced in-house, allowing us to keep a close and personal eye on the quality of every figure. Sculpted by an extremely talented crew, including Kyla Richards, Justin McKenzie, the legendary Bob Murch, Iain Colwell and some pieces created by Uncle Mike himself, our model line has come a long way since its 2009 inception, and we believe the new models we’re offering in this campaign are our strongest ever. We have an exciting range of goodies lined up that will become available as the campaign progresses. 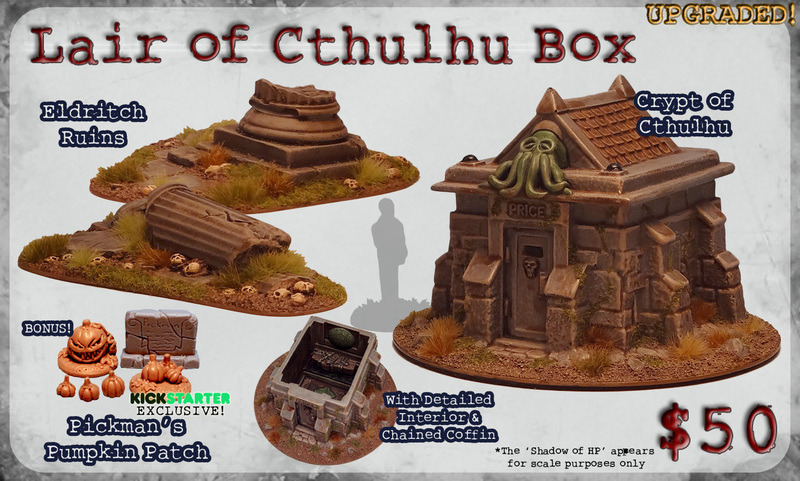 Stretch Goals come in the form of additional Boosters and Boxes - which will become available for sale as they unlock - and Upgrades, which are FREE additions to existing products. 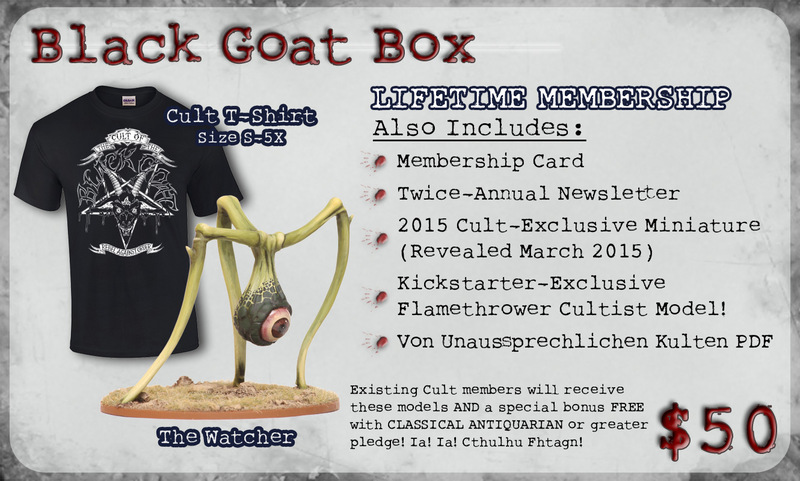 BONUS - Backer Count Stretch Goals! 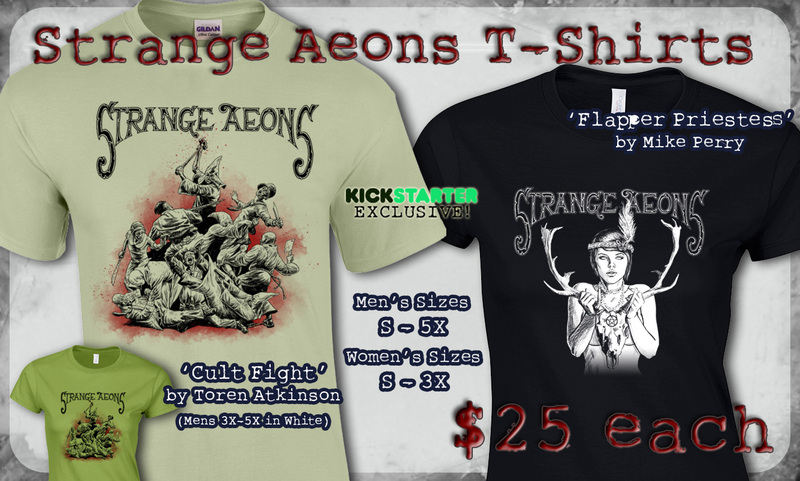 Don't just take our word for how great Strange Aeons is. Check out these external reviews and gameplay videos, complete with Uncle Mike interview (thanks to Geek & Sundry's Teri Litorco for letting us post these, and for being such a great supporter of our game)! We've also had printed reviews featured in The Ancible (#5), Amazing Figure Modeller and Wargames, Soldiers & Strategy (#56). Additionally, you can check out Strange Aeons's listing on BoardGameGeek, where we have an average score of 8.2 (very good for a miniature game! ), or join discussion of the game (in which the UWM team regularly participates) at Lead Adventure Forum. 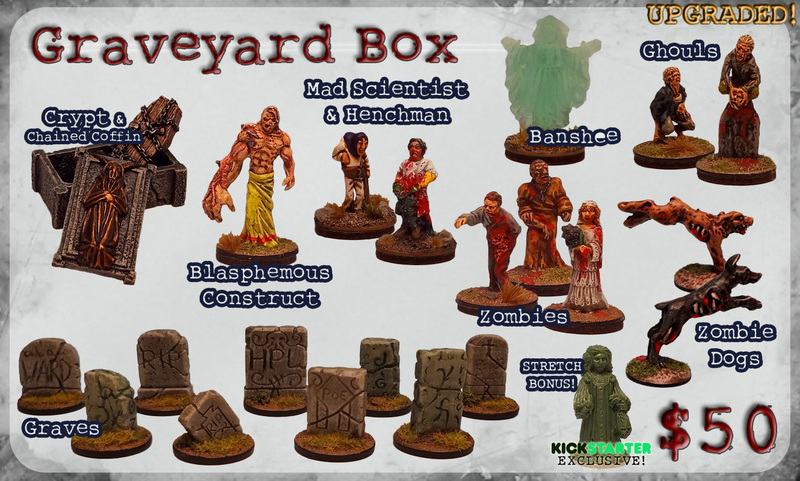 With five years of experience - encompassing five books and a plethora of miniatures and accessories - under our belts, we have a tried and tested system in place for producing all the elements of our game. We manufacture our own miniatures, and have a long-standing relationship with a local printer that has always provided us with top quality at lightning speed. Even our t-shirts are produced by a local supplier, so we have only a handful of stretch goal products (mainly game aids) that we plan to outsource to manufacturers outside our immediate sphere. These well established practices and relationships mean we're far less likely to encounter any surprises in the manufacturing process, and we have good communication and relationships pre-established to sort out any issues if they do arise. 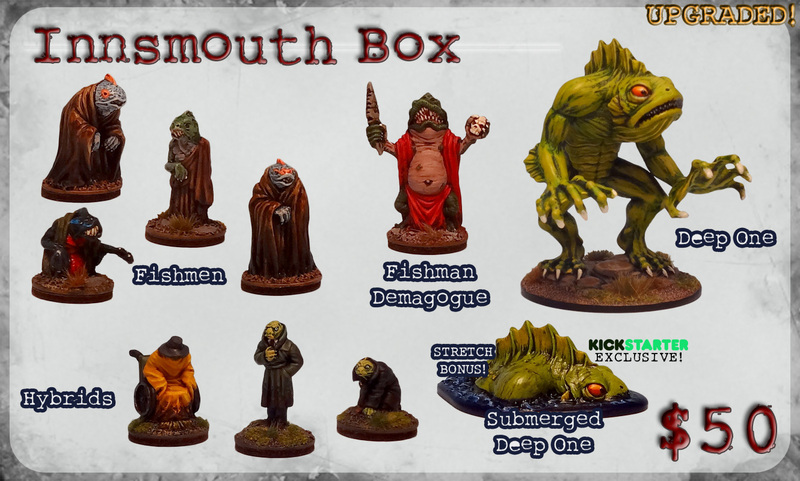 The only real difference this Kickstarter-based approach will present is volume. Depending on how successful the campaign is, we may find ourselves faced with producing and distributing goods at a scale we've never attempted before. We're confident our partners are up to the task, and Uncle Mike stands ready to upscale his miniature manufacturing output as circumstances demand. While this is new ground for us, we've been doing our homework to learn what the best practices are for us to follow in order to have a success of our own and, even more importantly, happy backers! This is one of the reasons we've set a target delivery date of August 2015. While we'd love to get everything out sooner, it's best to be realistic - and then add even a bit more beyond that - as we'd much rather be on target than delayed, and have pleasantly surprised backers instead of grumpy ones. CIVILIAN - You've done your bit to support the Threshold cause, and we thank you for it! If you want to add physical rewards to your pledge, please add $15 for shipping within Canada, USA and EU, or $25 elsewhere. DIGITAL ANTIQUARIAN - One Strange Aeons - 2nd Edition PDF Rulebook. If you want to add physical rewards to your pledge, please add $15 for shipping within Canada, USA and EU, or $25 elsewhere. CLASSICAL ANTIQUARIAN - One copy of the Strange Aeons - 2nd Edition Rulebook. Shipping to Canada, USA and EU included! Please add $10 elsewhere. NEW RECRUIT - One copy of the Strange Aeons - 2nd Edition Rulebook plus a Starter Box. Save $5! Shipping to Canada, USA and EU included. Please add $10 elsewhere. 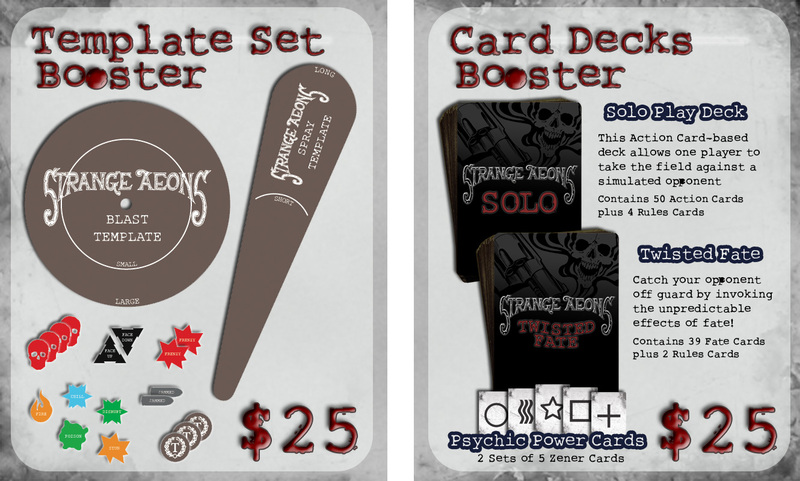 EARLY BIRD AGENT - One copy of the Strange Aeons - 2nd Edition Rulebook, plus $75 of your choice of Boosters or Boxes. Save $15! Shipping to Canada, USA and EU included. Please add $10 elsewhere. AGENT - One copy of the Strange Aeons - 2nd Edition Rulebook plus $75 of your choice of Boosters or Boxes. Save $5! 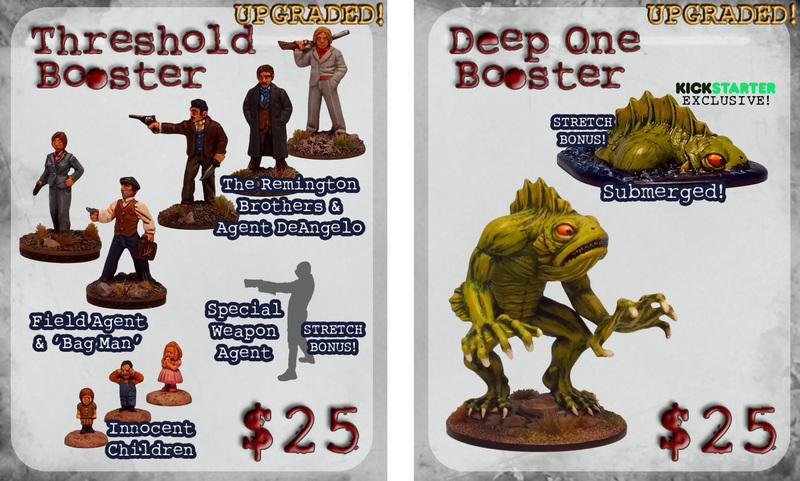 EARLY BIRD HERO - One copy of the Strange Aeons - 2nd Edition Rulebook plus $250 of your choice of Boosters or Boxes. Save $65! Shipping to Canada, USA and EU included. Please add $10 elsewhere. EXTRAORDINARY HEROISM - One copy of the Strange Aeons - 2nd Edition Rulebook plus $250 of your choice of Boosters or Boxes. Save $40! Shipping to Canada, USA and EU included. Please add $10 elsewhere. THE COUNCIL OF THIRTEEN - One copy of the Strange Aeons - 2nd Edition Rulebook plus $600 of your choice of Boosters or Boxes. Save $180! Shipping to Canada, USA and EU included. Please add $10 elsewhere. GALLANTRY IN ACTION - One copy of the Strange Aeons - 2nd Edition Rulebook plus $600 of your choice of Boosters or Boxes. Save $140! Shipping to Canada, USA and EU included. Please add $10 elsewhere. RETAILER KIT - 10 copies of the Strange Aeons - 2nd Edition Rulebook and 10 Boxes of models, plus extra goodies and marketing materials to help you promote the game. Add $500 for each additional kit. Shipping will be assessed on a per-backer basis - please contact us for details. This pledge level is available to verifiable retail customers ONLY. DISTINGUISHED SERVICE - Two copies of the Strange Aeons - 2nd Edition Rulebook, plus $1000 of your choice of Boosters or Boxes. Perfect to split with a friend or gaming group! Save $290! Shipping to Canada, USA and EU included. Please add $10 elsewhere. THRESHOLD LEGEND: GODLING - One copy of the Strange Aeons - 2nd Edition Rulebook, plus one of every available Booster and Box. 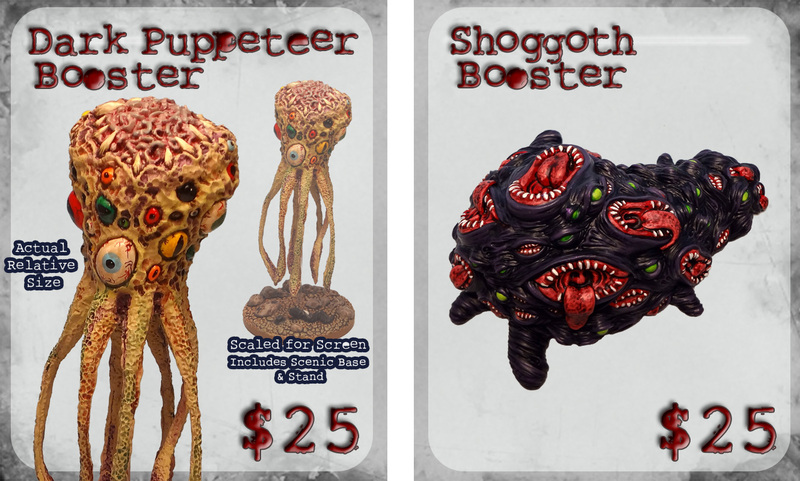 You'll also receive one of the last five monstrous Godling kits to ever be produced! Worldwide shipping included. THRESHOLD LEGEND: PORTRAIT - One copy of the Strange Aeons - 2nd Edition Rulebook, plus one of every available Booster and Box. We'll also have one of our talented artists illustrate your likeness as either a heroic Threshold Agent or the Lurker profile of your choice. 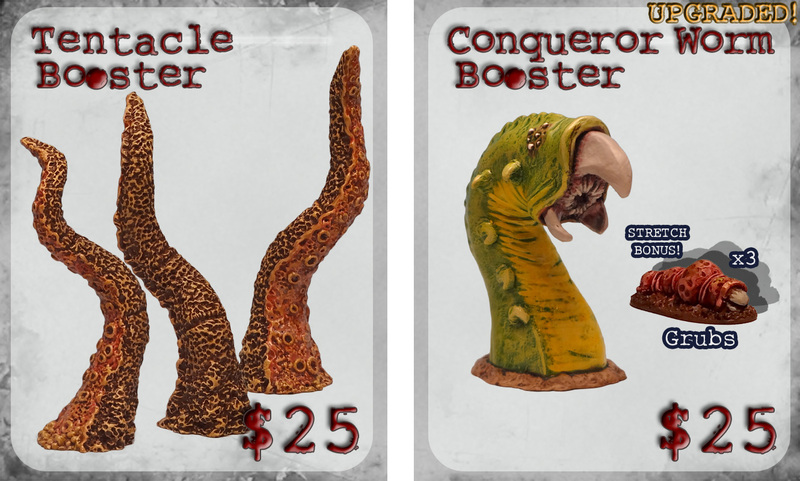 You'll receive a print, plus we'll immortalize you in the rulebook! Worldwide shipping included. THRESHOLD LEGEND: MINIATURE - One copy of the Strange Aeons - 2nd Edition Rulebook, plus one of every available Booster and Box. We'll also have one of our talented sculptors create a unique model with your likeness - your choice of a Threshold Agent or any suitable Lurker profile - and send you 10 casts of this unique figure in your choice of resin colour. Worldwide shipping included. THRESHOLD LEGEND: ULTIMATE AGENT - Two copies of the Strange Aeons - 2nd Edition Rulebook, plus $1,500 of your choice of Add-Ons (note that ALL Threshold Legend pledges now receive this Add-On credit in place of the previous one of each item, but we can no longer edit the descriptions). 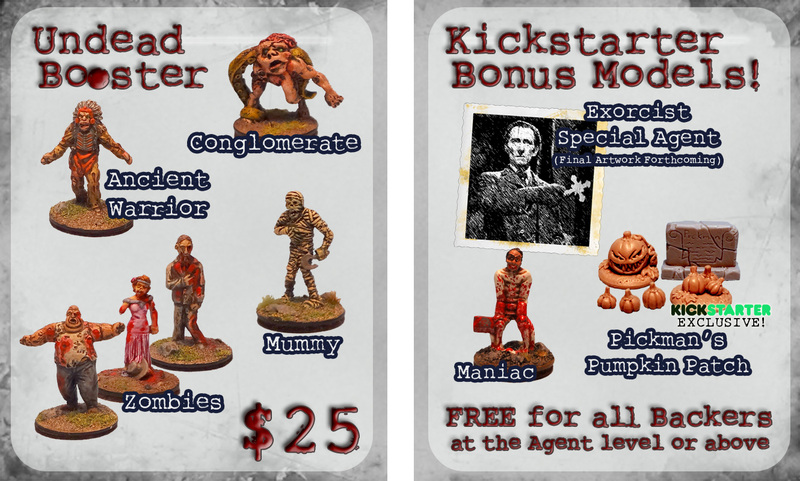 You'll also receive the Godling, Miniature and Portrait bonuses from the previous Legendary Pledges, PLUS a handcrafted 2'x3' custom game board, lovingly created by Uncle Mike. Worldwide shipping included.